Our view: Great choice for guests wanting convenient, cosy and simple accommodation. 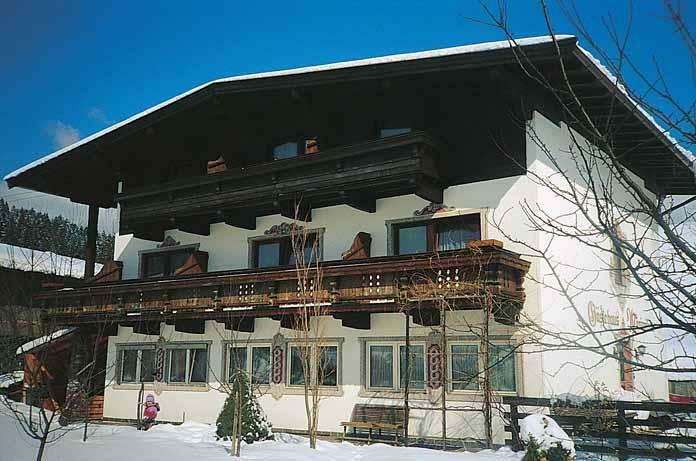 The village centre is only a few minutes walk away and the ski bus stops nearby, making the Maximilian a perfect choice for those guests wanting convenient, cosy and simple accommodation. This guesthouse offers bed and breakfast giving you the opportunity to sample some of the local restaurants, there are also optional evening meals can be pre-booked and are taken in a selected local restaurant or hotel (set menu). for 2 people on bed and breakfast sharing a room with Austrian twin beds and shared facilities. Rooms with separate beds and shared facilities are also available. Rooms with private shower and WC and single rooms with shared facilities are also available at a supplement. Offered on a bed and breakfast basis with the option to upgrade to half board if required (3 course set menu evening meals taken in a nearby restaurant). Breakfast will include a selection of hot and cold options including cereals, fruit, yogurts, freshly baked breads and pastries, and fresh coffee and tea.